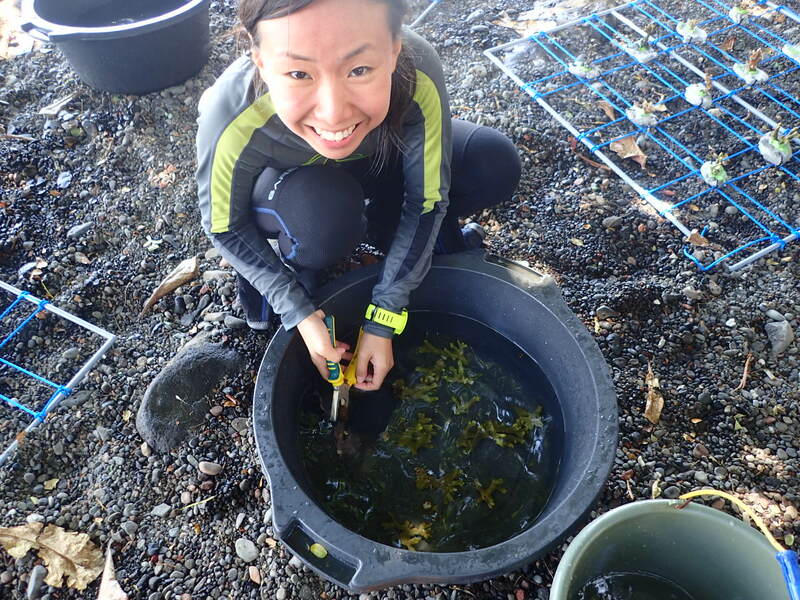 So what does a volunteer do in our reef rehabilitation work? Most of our work is underwater, but if you snorkel, you can still help us make our coral nurseries and snorkel as we launch it. You can be part of a group launchng a coral table. First, you will make the table, harvest coral recruits and launch it. Or you can thread a new rope nursery to replace the older ones. Or, you will harvest coral from the coral nurseries to replant them into the reef. You will then take an inventory of each nursery, tallying coral that look healthy versus those that are missing or diseased/dead. You will also take note of what is affecting the health of the coral, eg. algae, disease or dupella snail. 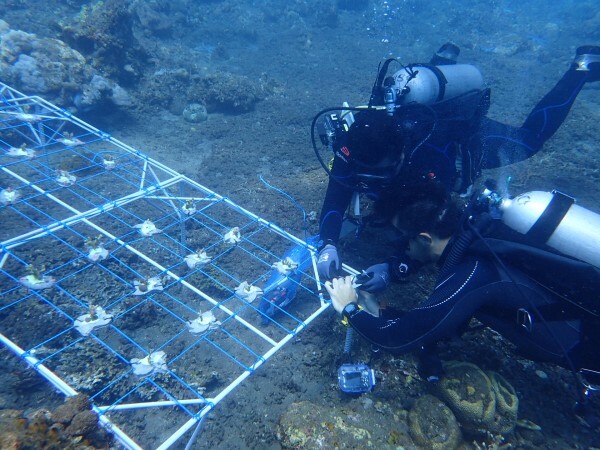 The STARR scientists will be measuring each individual coral in the table-depth and size-class trial, using photographs, a measuring stick and image J calibration software. 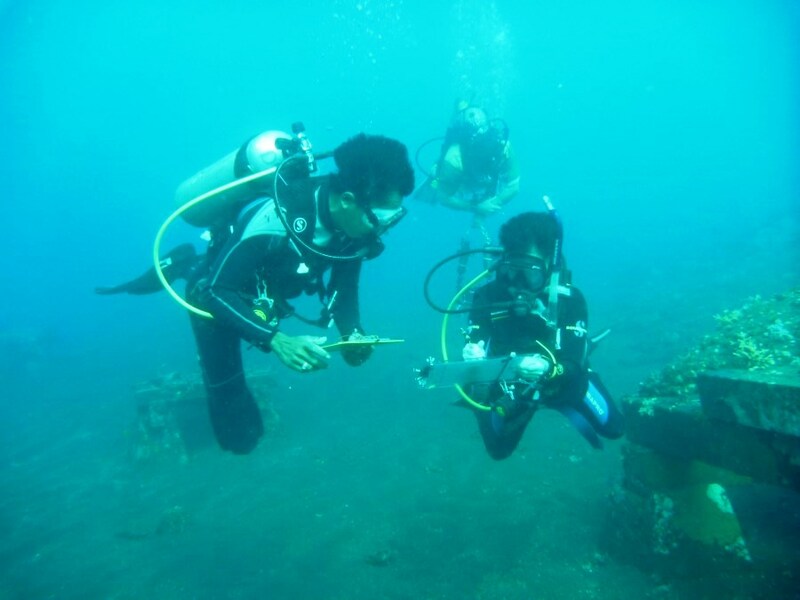 Divers with good buoyancy and photography skills can participate in this. As we have transplanted new fields of coral into the natural benthic, we will take a 70 meter point intersect transect of a transplanted site versus a control site. We note, every half meter, what is growing underneath the transect line. 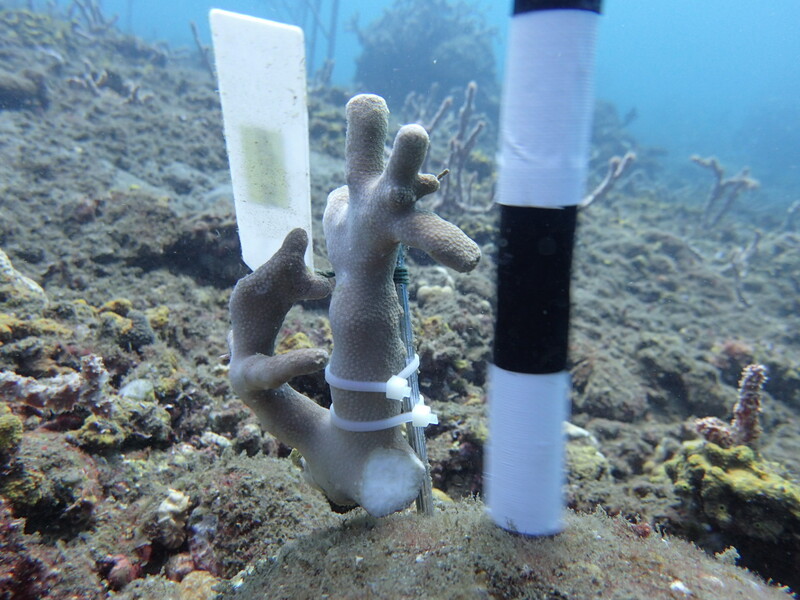 Over time, we can tell whether actively propagated fields will prompt faster secondary coral growth than natural reef. We will also spend a few dives maintaining our coral nurseries, scraping off algae from the ropes and tables and ensuring the coral is clean of algae and sediment. Here is a video of a dive volunteer hard at work. Lastly, we will do a butterfly fish survey! Everyone loves a fish survey. You get to learn (and impress your mates) to distinguish between different types of butterfly fish. Butterfly fish feed either solely on coral (obligate corallivore), or on a mix of coral and other things (facultative corallivore). You will be surprised by the strong correlation in numbers between obligate corallivore butterfly fish and reef health. Our STARR scientist Daisuke has some impressive bar charts to share. Yes, the Eastern Triangular or Black Back butterfly fish are, in a sense, the canary in the coalmine, the best indicators of coral health or otherwise.